It seems easier to walk in your own will and desire than walk in the destiny that God has prepared for you. Because we tend to walk by what we see. But God desires the opposite for our life. He wants us to walk by faith and not by sight. In other words, if there is anything in our life that we held on as a treasured possession, that we put our hard work, our hopes, and everything to it — because we see it. Be sure, one day, God will remove that out of your life. I worked at The Bangalore Conservatory. I served in different positions. I loved my job. I loved the organization. I treated it as a baby. This organization was so precious to me that I spent countless hours planning, working towards achieving the goals. I spent my time, energy, sacrificed my family time to spend at BC. I gave it all. There are times when I’ve worked for 16 hours straight. I thought I’d spend most of my life here. But one day, things started to change. I heard God’s call to enter into full-time ministry. It was a tough decision. I prayed and finally said, Yes. The very thing that I regarded as precious; God took away. Why ? Because I put my hard work and hopes on what I saw. But God took me into a place to make me live according to what I believe and not in what I see. He wanted me to believe in him for my providence. He wanted me to believe in what he made me be. He wanted me to believe in what he spoke into my life several years ago. He wanted me to believe in what he has called me to do. More than anything, He wanted me to believe in what he can do in my life more than what I can do by myself. Fast forward, several months later. I have moved to Mangalore. I have met wonderful people; people who became like family to me. Started a church and became part of bible study group where I teach regularly. So, How is life compared to the time when I worked at Bangalore Conservatory and now when I am in full-time ministry? When I was working, I put my hopes and hard work in what I could see. I saw an institution that has the potential to become the best music degree institution in the country. I saw students, staff, and everything else. And I saw my providence in that. I put my hopes in what I saw. And now when I am in ministry. God is teaching me to put my hopes and hard work in what I believe. I believe there is a call, there is a mission and I believe that one day a mega-church will rise up in this city that will lift the name of Jesus high.! But now, what do I see? I see few people, a small group, challenging times, times when I walk around with coins in my wallet, and sometimes nothing.! But God has been faithful to me. He has helped me live here for 6 months and continues to provide everything I need. Often times, the question I ask or ponder is why I don’t see anything materialize in the way I expect it to happen. Although I see a structure, I don’t see anything materialize. But, I know, God is doing something in me. He is teaching me to walk by faith and not by sight. He wants to me to put my hopes and work in what I believe and not in what I see. He wants me to put my belief in what he can do than what I could achieve by myself. If I live according to what I see then I don’t need God’s help. But only when I live according to what I believe then I need God in everything. Without him, I can’t live. Without him, I can’t breathe. Without him, I can’t survive. I believe one day a generation of young people will rise up for the name of Jesus. This city, Mangalore, is going to be on fire for God. All this will come to fulfillment only if I continue to live according to what I believe. I tell you, this is life. Though it’s challenging it is a fruitful life. It is satisfying. You will experience the amazing presence of God in an inexpressible way; I experience it every day. This is life. God provides in ways I can never imagine. He is faithful. 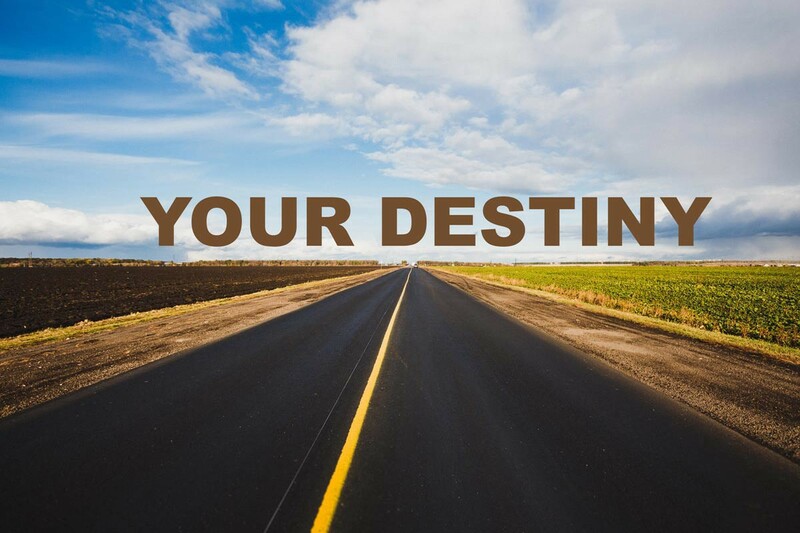 If God has called you walk into the destiny he has designed for you. Do not hesitate. Pray and prepare yourself. And say Yes Lord, and begin to walk. You will see him do mighty work in your life. Always remember to set your eyes on what God can do through your life than what you could do by yourself.